For ages 3 to 6 years. 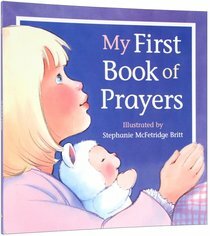 This little book, with its simple words and bright watercolour illustrations, introduces young children to their first prayers. From prayers of gratitude for the world God has made to prayers to say at bedtime, children will quickly learn how easy it is to talk to God. About "My First Book of Prayers"